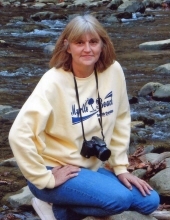 Doris Fae Hudson, age 59, of Hindman, KY, passed away Monday, October 8, 2018, at her home in Hindman, KY.
She was born in McDowell, KY on January 13, 1959 to Tim Slone and Nola Mae Wells Slone. Funeral services for Doris Fae Hudson will be held at the Hindman Funeral Services Chapel, Wednesday, October 10, 2018 at 2PM with Homer Smith officiating. Burial will follow at the Hudson Family Cemetery in Hindman, KY. Visitation will be held at the chapel, Tuesday evening after 6PM. "Email Address" would like to share the life celebration of Doris Fae Hudson. Click on the "link" to go to share a favorite memory or leave a condolence message for the family.